The EU must put more resources into supporting renewable energies and ‘blue growth’ industries that will boost growth and support climate goals, says the CPMR Atlantic Arc Commission. 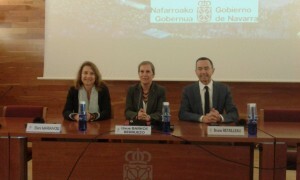 At its General Assembly in Pamplona on 2-3 June, at the invitation of Uxue Barkos, President of the Chartered Community of Navarra, Commission members outlined a series of proposals in order to foster the European project in the Atlantic territories. These include the development of marine renewable energies, regarded as a key means of creating jobs and tackling climate change. They also call for greater EU support for training and research in all aspects of the blue economy, including tourism and transport. In particular, they highlight the positive launch of the Blue Careers training initiative – which capitalizes on the innovative CPMR-led ‘Vasco da Gama’ pilot project – but stress the need for more long-term development and support in this area. The Commission also stresses the need for the creation of a truly Atlantic Corridor, in order to improve transport, trade opportunities and connectivity between Atlantic territories. In her speech during the meeting, President Barkos, said: “The CPMR Atlantic Arc Commission is the perfect forum to build cooperation and strengthen links between Regions, which facilitate the preparation of outstanding projects to be funded by European programmes”. The first priority for the Pays de la Loire Region is to strengthen the lobbying actions of the Atlantic Arc Commission. Bruno Retailleau stressed that this is a very important time for the European Union as budget policy and cohesion policy are being renegotiated. Hence, the Atlantic Arc Commission must be very active to make its voice heard and speed up the implementation of the Atlantic Strategy by strengthening its links with the EU institutions, he claimed. Throughout Mr Retailleau’s presidency, priority will also be given to the implementation of the Atlantic Strategy and its sources of funding, which are still too low. Mr Retailleau also wants to foster participation in EU projects within the Atlantic Arc Commission’s working groups in order to give more visibility to the Atlantic Arc Commission and develop expertise in specific fields. Accessibility is the last priority identified by the Region. The Atlantic Arc Commission must keep lobbying so that grey zones are taken into account in order to better connect the Atlantic territories between them and with the center of Europe. 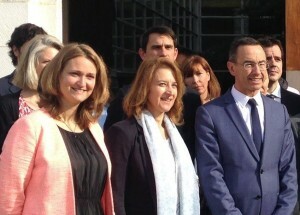 In order to carry out this ambitious work, President Retailleau will work together with 2 elected members of the Pays de la Loire Region, who will also follow closely the activities of the Atlantic Arc Commission, namely Christophe Priou, in charge of fisheries issues, and Sébastien Pilard, in charge of blue economy issues. At the end of the meeting a final declaration was approved by participants.